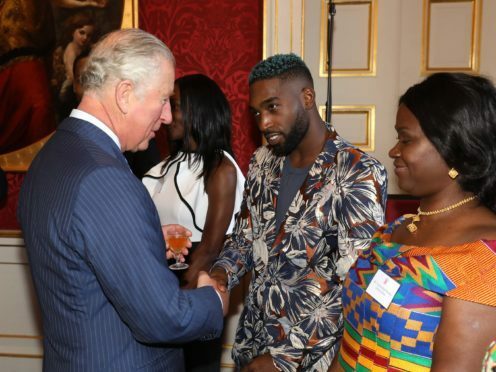 Rapper Tinie Tempah has described as “pivotal” the contribution Britons of West African descent have made to the UK as the Prince of Wales celebrated their achievements. Charles and the Duchess of Cornwall invited dozens of famous faces of Ghanaian, Gambian or Nigerian heritage to St James’s Palace ahead of their tour of the three West African nations, to highlight the region. Ruti Olajugbagbe, winner of The Voice, men’s fashion designer Ozwald Boateng and rapper Lethal Bizzle were just some of the individuals from the worlds of media, sport, fashion and the arts at the reception. He added: “It’s nice we can have this direct one-on-one conversation with the prince and duchess to be able to tell them our experience and, more importantly, to tell them how amazing Africa is. Charles is expected to acknowledge the slavery past of a historic African fort when his nine-day trip to the continent with his wife begins on October 31. In Ghana, the heir to the throne will visit the 17th-century Christiansborg Castle, once a Danish slave fort and later owned by Britain. The couple’s visit comes hard on the heels of the Prime Minister’s high-profile visit to the continent just a few months ago.